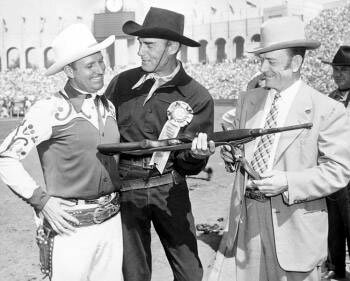 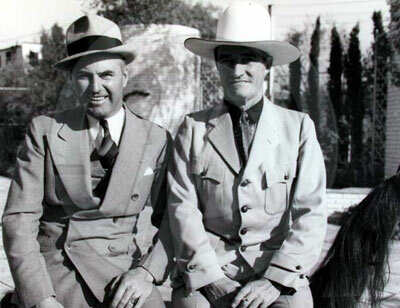 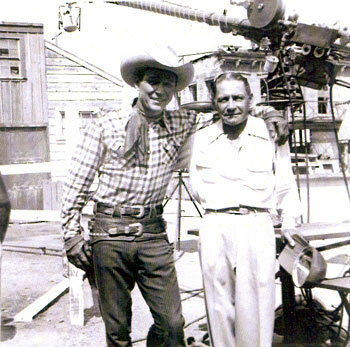 Director Joe Kane visits Roy Rogers on the set of his TV series. 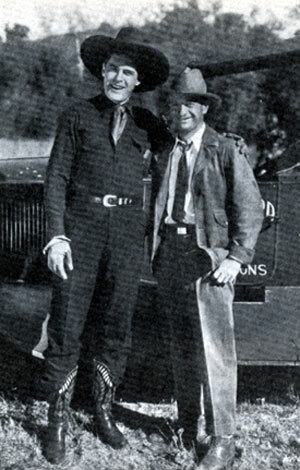 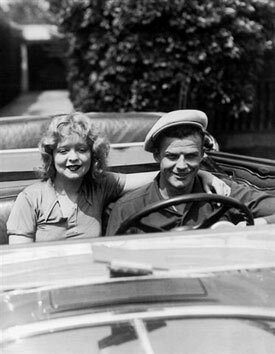 Kane had earlier served as director and associate producer on dozens of Roy's pictures at Republic in the ‘30s and ‘40s. 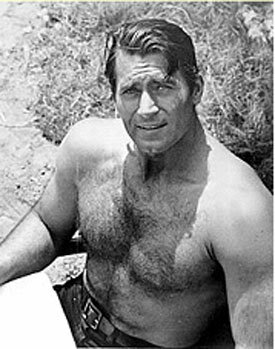 Here’s one for the ladies. 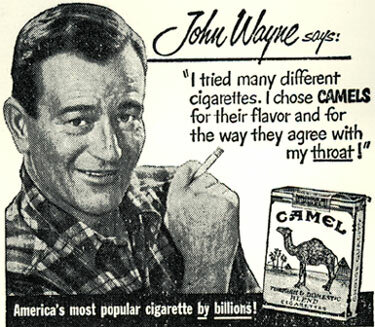 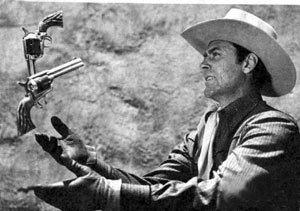 Clint “Cheyenne” Walker. 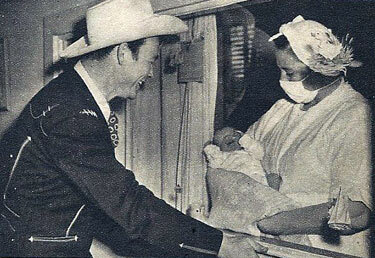 Jack and Tim Holt, who co-starred together in “Arizona Ranger” (‘48 RKO), with Jennifer Holt, daughter of Jack and sister of Tim. 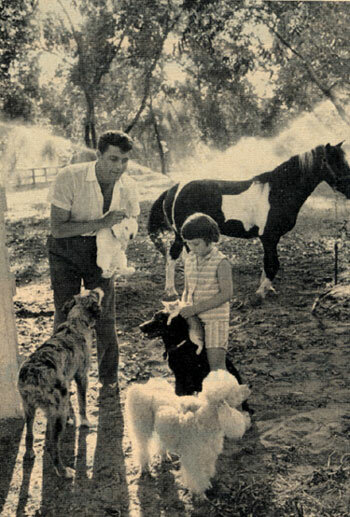 Dale Robertson and daughter Rochelle with their menagerie on Dale’s San Fernando Valley ranch in the late ‘50s. 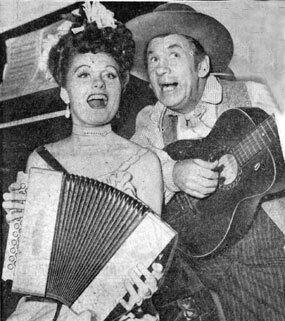 Kathleen O‘Malley, daughter of character actor Pat O‘Malley, gets together for a little music with Universal B-western comic Fuzzy Knight on the set of O‘Malley’s film, “Lady on a Train” (‘45) which starred Deanna Durbin. 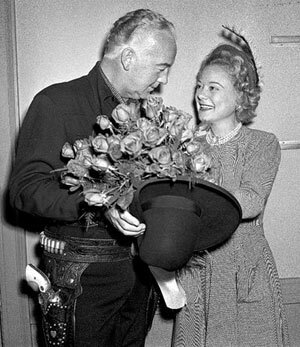 Don Barry clowns around with a pig-tailed Adele Mara as he attempts to pull the rope holding up Adele’s blue jeans. 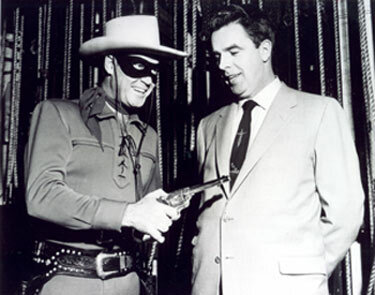 Clayton Moore as the Lone Ranger at a public appearance in Kansas City with local dignitary Matt Plunkett (2/11/56). 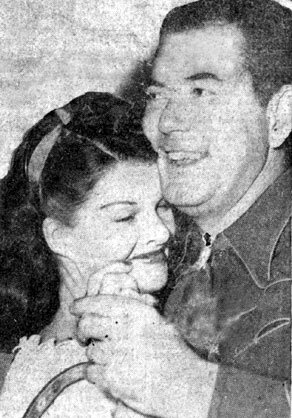 Monogram B-western star Johnny Mack Brown shares a dance with June Horne, Mrs. Jackie Cooper, in November ‘45. 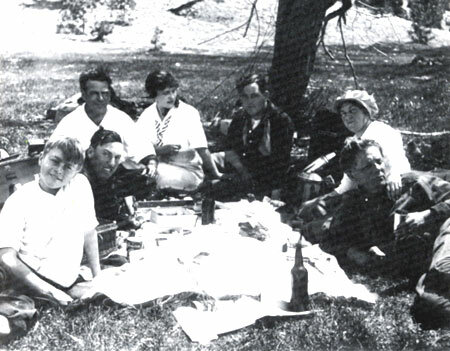 Silent stars Helen Holmes and Leo Maloney (center) circa 1915 during a lunch break while filming a chapter of Holmes’ “Hazards of Helen” Kalem serial. 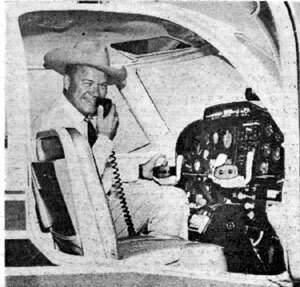 Kirby Grant, best known as TV’s “Sky King”, is perched here on the flight deck of the new Sky Knight which he just test-hopped at the Wichita, Kansas, aircraft plant in the Fall of ‘62. 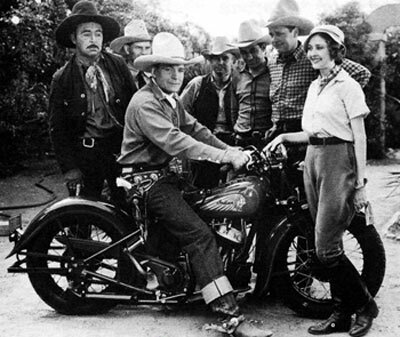 Kirby took his annual refresher course in Wichita and at the same time toured the assembly line at the factory. 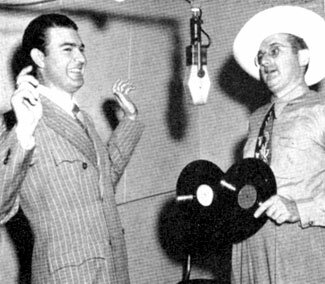 RCA Victor gag photo as band leader Tommy Dorsey holds up Tex Williams with two records instead of two guns (11/48). 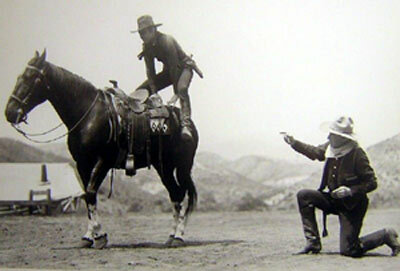 William S. Hart coaches Johnny Mack Brown on how to do a crouper mount during the filming of “Billy the Kid” (‘30 MGM). 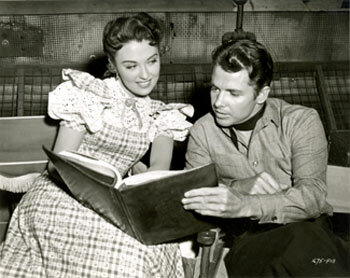 were co-starring in “Frontier Gal” (‘45 Universal). 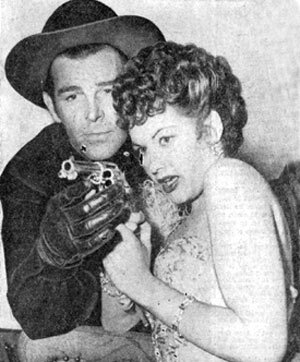 Republic’s B-western star Allan “Rocky” Lane practices his gun tricks in this August 1947 publicity photo. 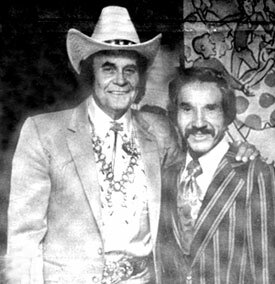 A cowboy legend and a music legend...Sunset Carson and Marty Robbins. 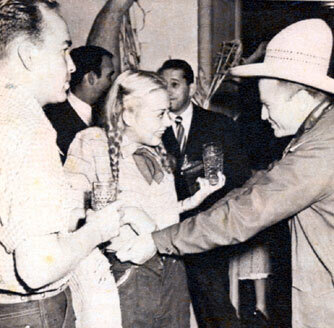 In the ‘60s and ‘70s Loretta Brauckmann worked in Hollywood as a film caterer. 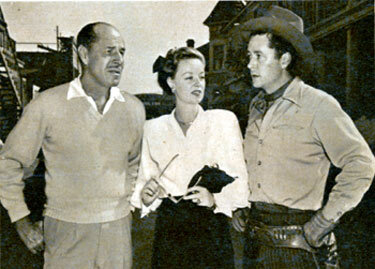 She’s seen here with James Arness and Fess Parker on the sets of “Gunsmoke” and “Daniel Boone”, both in ‘64. 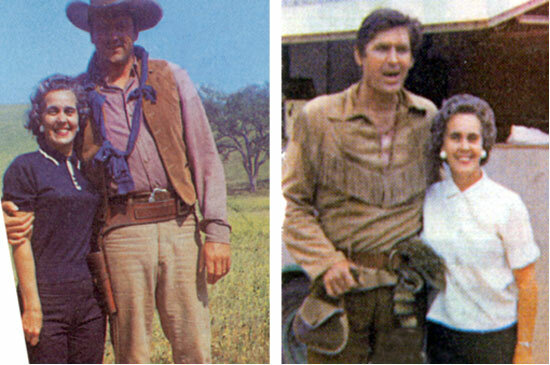 (Pictures taken from REMINISCE magazine April 2010.